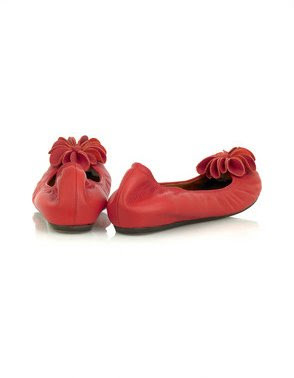 .v's lust-worthy new Lanvins are making me think about pretty ballet flats again. This pair is not cheap. But wouldn't they look fabulous peeking out from under a wedding dress? And as Elizabeth Dye says, "If your shoes are perfect, you can wear a burlap sack. Put your dollars on your feet." Flats are such a smart idea for a wedding because you are standing for SO long. I think I actually wore my heels the whole time, but these would've been adorable to slip into. Oooo those might be my Christmas present to myself. Do you think they come in a box like the ones that .v bought? I want the box as much as the shoes! I am wearing flats on W day fo sho, and these are fantastic.